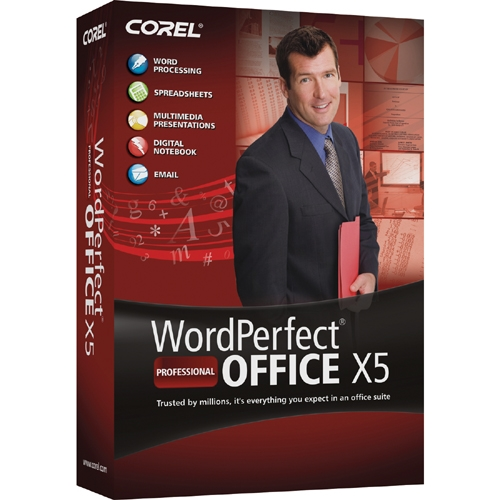 Geared to organizations of all sizes, WordPerfect Office X5 - Professional Edition offers a complete range of office productivity and database software that helps you save time, stay organized and deliver professional results. Create and share high-quality documents, spreadsheets, presentations and databases. Open, edit and save virtually any type of file, including the latest Microsoft Office files. Easily communicate and collaborate with built-in PDF tools, SharePoint Server support, email and free Web services. Online and off, it's the total productivity software package.